Volvo in 2015 provided a vision of what autonomous cars could deliver with the Concept 26 (shown). Since then the automaker has been working with partners such as Nvidia, Uber and Veoneer to make self-driving vehicles a reality. MUNICH – Volvo Cars will use U.S.-based chipmaker Nvidia's high-powered Drive AGX Xavier technology in its next-generation cars to help make those models capable of up to Level 4 autonomous driving, the companies announced Wednesday. At Level 4, the car can drive itself but still has a steering wheel and pedals so that the driver can take control when needed. Nvidia said Drive AGX Xavier, which is a system-on-a-chip capable of 30 trillion operations per second, will deliver “Level 2-plus” automated driving features and start appearing in Volvo production model early in the next decade. Volvo already offers Level 2 capability -- so-called semi-autonomous driver assistance systems that can steer and brake the car as long the driver remains in full control -- in models such as the XC60. The automaker has said it will eventually offer Level 4 autonomy on its second-generation Scalable Product Architecture (SPA 2), which will debut with the launch of the third-generation XC90 flagship due in 2021. The automaker has also promised that by 2021 it will offer a vehicle with Level 4 capabilities. 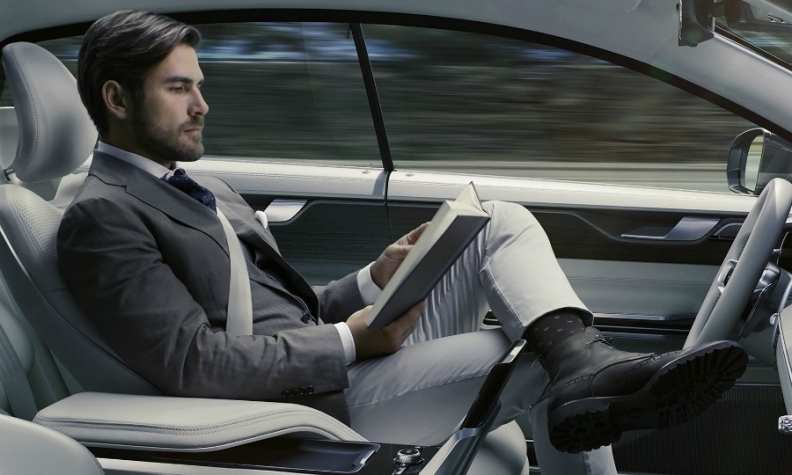 Volvo will not offer Level 3 autonomy, which the Swedish automaker considers unsafe because the driver must be prepared to take over within a matter of seconds during an emergency. The automotive industry is on track to spend $20 billion to $30 billion (18 billion to 27 billion euros) on autonomous driving technology between 2017 and 2022, analysts estimate. Nvidia and Volvo said the artificial intelligence-capable core computer they are developing will allow Volvo to offer 360-degree surround perception and a driver monitoring system that will help the company safely introduce fully autonomous cars. Nvidia founder and CEO Jensen Huang announced his company's latest deal with Volvo at the company's GTC conference in Munich Wednesday, pointing out that if automated driving is done right it will result in improved safety and driving comfort. Wednesday's announcement is the latest step in the expanding relationship between Nvidia, Volvo and some of the automaker's other key partners. In June 2017, Volvo and Nvidia said they were developing a Level 4 system in collaboration with Veoneer and Zenuity. Veoneer is a spinoff of Swedish supplier Autoliv's active safety business and Zenuity is an automotive software joint venture controlled by Volvo and Autoliv. Separately on Wednesday, Nvidia said that Veoneer would adopt the the chipmaker's Drive AGX Xavier technology to make Level 4 autonomy production ready by 2021.